Organizations and actions you can take today to fight oppression and support the Black Lives Matter movement! You can also find many of these groups on Facebook and Twitter to get timely updates on actions and campaigns. We the Protesters – fantastic site with a list of demands of the Black Lives Matter Movement, activist toolkits, mapping police violence, and policy briefs. 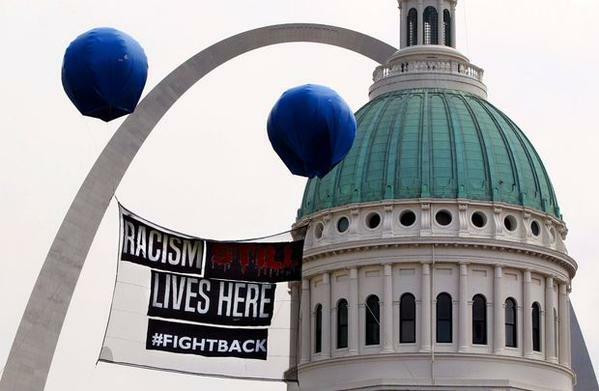 Coalition Against Police Crimes and Repression – St. Louis based group organizing on the ground to establish an effective Civilian Review Board of the St. Louis police. Campaign Zero – the new campaign and website, is informed by the demands of protesters nationwide, the President’s Task Force on 21st Century Policing, recommendations from research organizations and comprehensive data on the causes and impact of police violence. Campaign Zero also includes local, state and federal policy agendas as well as a tracker for the 2016 Presidential Candidates. Racial Equity Tools – tools, research, tips, curricula and ideas for people who want to increase their own understanding and to help those working toward justice at every level – in systems, organizations, communities and the culture at large.